The Agency accepts garbage from Linn County residents and businesses at 1954 County Home Road, Marion, Iowa. Always stop at the scale first. All loads must be covered and secured or will be fined. Residential vehicles can unload garbage at the convenience area. Commercial loads and municipal garbage trucks will be directed to the landfill. All customers are required to follow staff instructions while on-site. Staff may not always be immediately available and are prohibited from using agency equipment to unload vehicles. Stop at the scale upon arrival. Identify the items you want to discard to the scale attendant. The attendant will direct you where to go for disposal. 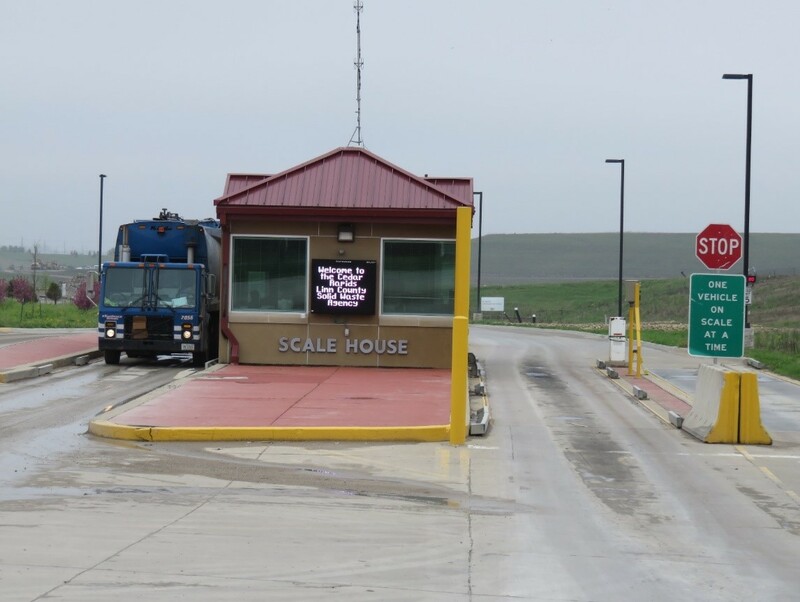 If your load is weighed, you are required to stop back at the scale after disposal. The scale attendant will weigh your vehicle again and determine any fees due. The Agency accepts cash, credit cards and business checks. The Agency accepts both non-friable and friable asbestos. Delivery conditions and packaging requirements apply. If you have asbestos to dispose of visit the Asbestos page for detailed instructions. To ensure staff and public safety and to comply with permit regulations, the Agency reserves the right to declare any waste a special waste. Generators and haulers must have prior written approval from the Agency before disposing of a special waste in the landfill.